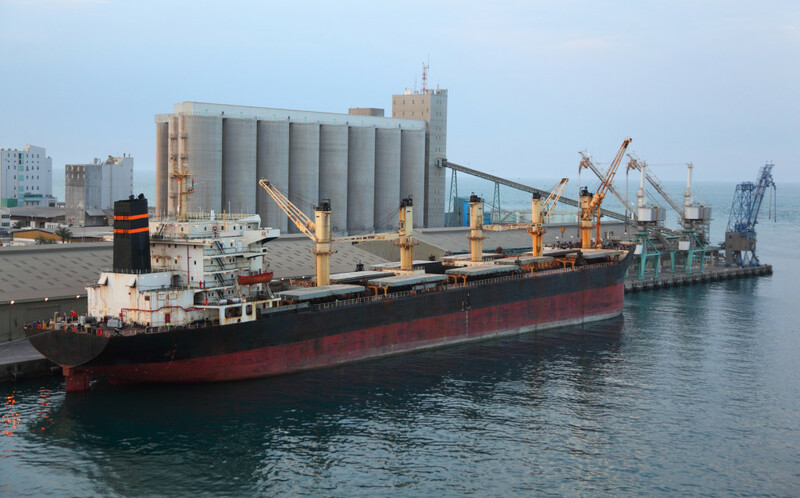 The bankruptcy filing of an Illinois grain-shipping company spotlights the continued fallout from China’s 2013 rejection of U.S. corn shipments, which roiled international grain markets and triggered a flurry of lawsuits. Trans Coastal Supply Co. sought Chapter 11 bankruptcy protection from creditors late Thursday, blaming losses and broken sales contracts after China began rejecting corn shipments in late 2013, when Chinese officials detected a genetically engineered strain that Beijing hadn’t yet approved. The filing by the Decatur, Ill., company comes as it and other grain-trading companies, including Cargill Inc. and Archer Daniels Midland Co., pursue a lawsuit against SyngentaAG, the Swiss agribusiness that makes the biotech corn that came under scrutiny. Trans Coastal’s filing in the U.S. Bankruptcy Court for the Central District of Illinois shows how disputes over Syngenta’s Viptera corn continue to reverberate in the U.S. Farm Belt. Grain companies and farmers have blamed Syngenta for hundreds of millions of dollars in losses because of rejected shipments and declines in the market price for corn that they say resulted from the episodes. Syngenta began selling Viptera in the U.S., Argentina and Brazil in 2011, with those governments’ approval, but China didn’t approve the strain until late last year. More than 180 separate lawsuits have been filed against Syngenta in the matter. Syngenta has rejected the arguments and maintained that the company was transparent in marketing the genetically modified corn, which is resistant to pests like corn earworms. A spokesman for Syngenta declined to comment on Trans Coastal on Friday. Pamela Moses, Trans Coastal’s president, told employees and customers in a letter dated Thursday that the company “had been led to believe” that the Syngenta strain was soon to be approved for import into China and that until then it wouldn’t turn up in shipping channels. Trans Coastal ships corn, soybeans and other commodities to ports across Asia, including China. Lawsuits by creditors also weighed on Trans Coastal, Ms. Moses wrote. In its bankruptcy filing, the company listed $10 million to $50 million in both assets and debts. Ms. Moses didn’t immediately respond to requests for comment Friday. Trans Coastal hopes to restructure in bankruptcy court, and the company’s lawsuit against Syngenta will continue, said Jayne Conroy, a lawyer with Simmons Hanly Conroy LLC who is representing Trans Coastal in the lawsuit. Trans Coastal and Cargill sued Syngenta over rejected corn shipments in September. Archer Daniels Midland filed suit two months later. Syngenta in June sought to dismiss the lawsuits, which have been consolidated in a U.S. District Court in Kansas, saying it shouldn’t be held liable for the losses. Plaintiffs in the case on Monday filed a motion opposing any dismissal, and a ruling on Syngenta’s dismissal request is expected by early September, according to Ms. Conroy. Lost Corn Income Adds 280 Events in August! Lost Corn Income has just added 280 Local Town Hall Meetings in 6 states for August. Please CLICK HERE to find a meeting in your area! This represents the third batch of legal battles for Syngenta regarding the MIR 162 corn. In September 2014 Cargill filed its own lawsuit, arguing that Syngenta caused more than $90 million in losses to Cargill over the rejected corn. Trans Coastal Supply Co., which exports feed for livestock, also sued Syngenta, blaming the company for $41 million in losses over the GMO seed. The potential loss to producers from Syngenta’s MIR 162 corn seed, also known as Agrisure Viptera, has caused some of the country’s corn producers to participate in a mass lawsuit to recoup what some claim are billions of dollars in losses. Area producers who grew corn in 2013-14 are eligible to participate in a mass tort lawsuit, said Sarah Duffy, attorney with Pemberton Law Firm, Fergus Falls, Minnesota. A number of informational meetings will be held Friday to give growers an idea of what the suit entails. According to Duffy, Syngenta allegedly marketed a specific genetically modified corn seed, known as MIR 162, despite knowing that China and many other international trading partners would refuse to purchase the genetically modified corn. The seed was approved by the U.S. in 2010, however, in 2013, China refused to accept American corn with the MIR 162 trait, rejecting imports and causing a sharp decline in the commodity market. Duffy said Syngenta’s action caused the price of corn to drop from $7 a bushel in 2013 to $3.50 a bushel in 2014. Even producers who did not grow Syngenta seed are impacted by China’s refusal to purchase the U.S. corn crop. Attorneys representing farmers say China’s rejection of the U.S. corn shipment created a surplus of crop and reduced corn prices for the crop years 2013-14, Duffy said. The lawsuit alleges Syngenta encouraged farmers to plant the MIR 162 seeds side-by-side with other corn varieties after it gained approval in the U.S., knowing it would be rejected by China and despite the contamination risks of commingling. According to literature from the lawsuit, Syngenta encouraged this side-by-side planting process despite the known contamination risks in doing so. The suit claims Syngenta knew that commingling different varieties of corn was a risk during the planting, harvesting, drying, storage and transportation process. Once released, a corn variety will, without adequate precautions, contaminate the broader corn supply. By promoting this side-by-side program, Syngenta helped spread the amount of MIR 162 that would appear in the U.S. corn supply, thus putting exports to countries that had not approved the trait, such as China, at risk. The press release said Syngenta also knew, or should have known, that commingling would result in Chinese regulatory officials rejecting shipments of U.S. corn. Damages for the suit are based on lost income and if successful, producers could recover anywhere between 11 cents to $1 a bushel, she said. The biggest challenge to the mass tort lawsuit is proving causation. Attorneys have to prove the amount of damages caused by Syngenta’s specific action. Duffy said Syngenta’s attorneys will try to give other reasons for the decrease in the market’s prices. Syngenta’s response to the suit is farmers should bear responsibility or risk for the crops they plant. The lawsuit is trying a different tact: Syngenta should bear the economic consequences for their action. 8 a.m., Odessa, Minnesota, The White Pony, located at 110 North Main Ave.
11 a.m. Graceville, Minnesota, Ag Country, at 316 W. First St.
2 p.m. Wendell, Minnesota, Community Center, located at 590 State Hwy. 55; and 5 p.m. Foxhome, Minnesota, 210 Bar & Grill, at 304 Main St.
About 20 area farmers attended an informational meeting concerning a lawsuit against Swiss-owned Syngenta Thursday in Grand Island. The lawsuit alleges that corporation practices during 2013 and 2014 caused farmers to lose thousands of dollars. Conducting the meeting was Dan Rasmus, an attorney representing the firm of Hovland & Rasmus, which is based in Edina, Minn. Rasmus said they have been conducting informational meetings across corn-growing country for six weeks. He explained the allegations and litigation process to the farmers. Rasmus’ firm is part of a consortium of law offices that have joined together to represent farmers in Nebraska, Iowa, South Dakota and North Dakota in the lawsuit. Last year, farmers and companies, which included ADM and Cargill, filed more than 50 lawsuits against Syngenta in 11 major corn-growing states, including Illinois, Iowa, Missouri and Nebraska. Hundreds of additional lawsuits are being prepared, including some in Minnesota. The litigation claims that Syngenta released a corn variety, Agrisure Viptera (MIR162), in 2009 before it was approved for export to China and that the company misinformed farmers, grain elevators, grain exporters and the general public into believing that Chinese regulatory approval was imminent and that the lack of Chinese approval would not impact corn market prices. Rasmus said MIR162 was not approved for export to China. However, traces of MIR162 found in grain shipments caused the Chinese to reject more than 130 million bushels of U.S. corn as of last October. At the time, China had a no-tolerance policy concerning genetically modified corn varieties. “That caused the corn to be returned because it wasn’t being accepted, and that caused, we believe, the reduction in market price,” Rasmus said. China approved the sale of that variety of corn in its country late last year. Rasmus said those rejections affected markets, such as an 85 percent decline in U.S. corn exports in 2014 compared to 2013 and the price of corn falling from a high of $8.28 per bushel in August 2012 to near 10-year lows. He said an economist that they have consulted said that anywhere from 11 cents to more than $1 per bushel in the drop of the corn price is attributable to that Syngenta product being introduced into the market. 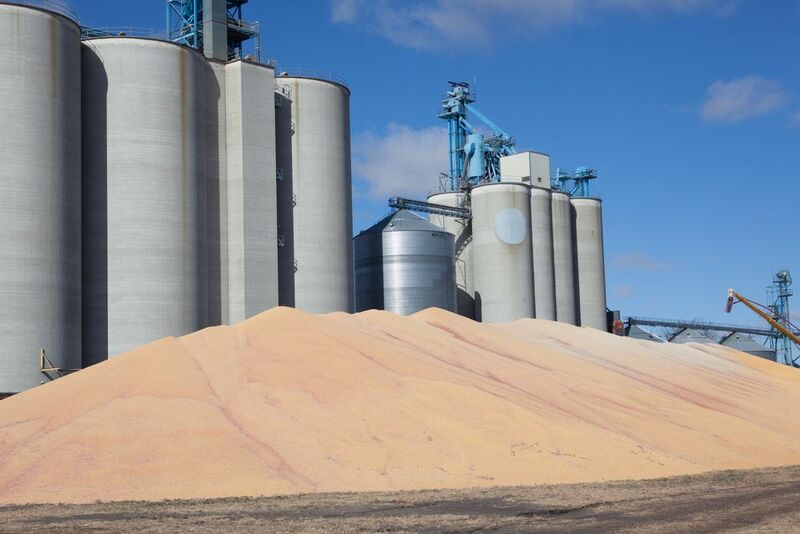 The National Grain and Feed Association estimated the situation with China has cost $2.9 billion in economic losses to the U.S. corn, distillers grains and soy sectors. Syngenta issued a statement last September in response to the Cargill lawsuit. 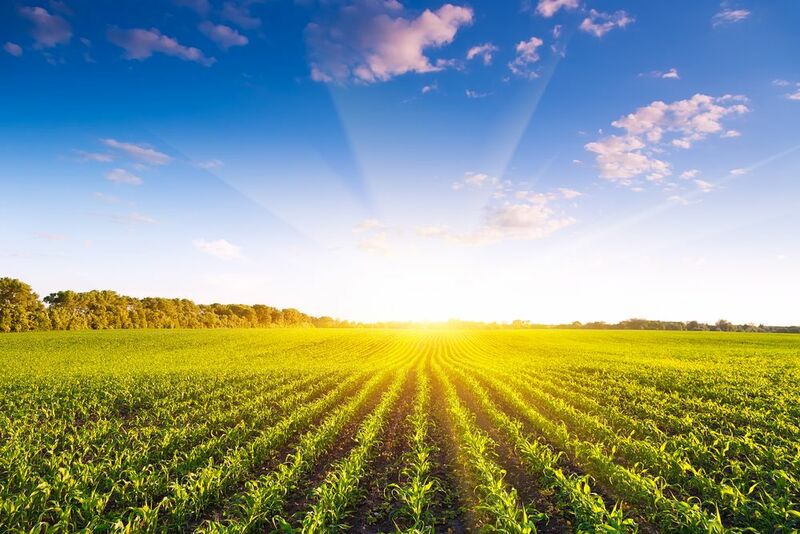 “Syngenta believes that the lawsuit is without merit and strongly upholds the right of growers to have access to approved new technologies that can increase both their productivity and their profitability,” the statement said. Farmers attending the meeting asked Rasmus questions about their commitment if they become part of the lawsuit, what their liability would be and whether there could be any repercussions for their operations if they become part of the lawsuit. Many of the farmers at the meeting said they were going to take the paperwork provided by Rasmus home and study it more. He said the lawsuits seek compensation from Syngenta for those and other losses. His law firm has already received commitments from 1,000 farmers representing about a million acres. If area farmers join the lawsuit, there would be no financial commitment on their part, Rasmus said. If a settlement is reached, the law firms would receive 40 percent of the settlement and the farmers 60 percent of the settlement. The consortium of law firms involved in the action would pay for all the expenses if the lawsuit is not successful. This is a mass tort, which is a civil action involving numerous plaintiffs against one or a few corporate defendants in state or federal court. In contrast, a class action is a type of lawsuit in which one person or several people sue on behalf of a larger group of people. “We are very encouraged,” Rasmus said about the growing number of farmers agreeing to be part of this lawsuit. Area farmers could soon reap the benefits of state and national lawsuits against multinational agribusiness corporation Syngenta AG if they grew corn in 2013 or 2014. Syngenta allegedly marketed a specific genetically modified strain of corn despite knowing that China, and many other international trading partners, would refuse to purchase the corn seed known as Agrisure Viptera, or MIR 162, Pemberton Law attorney Sarah Duffy said. Fergus Falls based Pemberton is spearheading the regional efforts of the lawsuit against Syngenta. The State and Multidistrict Filing, known as a mass tort case, was initiated by Mikal Watts of the Watts Guerra LLP firm based in San Antonio, Texas. They have been recruiting local partners to facilitate lawsuits by affected farmers. Pemberton’s involvement began last week, after they were contacted by a team of attorneys in Minneapolis who were working with Watts Guerra. “We are facilitating local farmers to be involved in litigation if they want to participate. This case applies to all corn farmers, not just those using the Syngenta seed,” Duffy said. In 2012, 1,346 farms grew corn on 217,863 acres of land in Otter Tail County, according to the most recent Census of Agriculture. Grant County had 218 farms growing corn on 110,253 acres. If successful, the lawsuits could award farmers damages for the reduction of corn prices allegedly caused by Syngenta’s actions. These damages could be in any amount from 11 cents to more than $1 for each bushel of corn grown in 2013 and 2014, regardless of whether or not a farmer’s seeds came from Viptera, the corn seed in question that was initially released in 2011 and quickly proved to be problematic for farmers across the United States. The seed was comingled with others and farmers were encouraged to plant the seeds side-by-side with other corn varieties despite the contamination risks of comingling, according to Duffy. From November 2013 to January 2015, China started rejecting U.S. shipments of corn in which MIR 162 was detected. China’s rejection of U.S. corn has cost farmers, as well as the grain and transportation industry an estimated $2.9 billion through the spring of 2014, according the National Food and Grain Association. Even farmers who did not plant Viptera have had issues with corn being sold to China. “There were fields that weren’t even Syngenta corn that had traces of this seed because of cross pollination and contamination,” Duffy said. The result of the China ban was a significant drop in the per-bushel price of corn. Prices dropped from a national average of $7 a bushel in mid 2013 to a low of $3.50 this last September, a drop which they argue is due to Syngenta’s actions and the closing of the Chinese market, Duffy said. Syngenta also misled farmers on when China would approve their product, according to Duffy. “[Syngenta’s actions] significantly decreased the price of corn in our country, as a result, farmers lost income,” Duffy said. And while Viptera corn is being accepted in China, the second version of the seed, Duracade, which was first planted in 2014, remains banned by China and the European Union, according to Duffy. The biggest challenge with any lawsuit, including this one, according to Duffy, will be proving causation — that Syngenta’s actions caused the drop in the price of corn. Pemberton and their legal team are representing clients throughout the state of Minnesota as well as any other states within the U.S. A series of informational meetings are planned for 8 a.m. Friday, Feb. 6 at the AmericInn in Fergus Falls, Han’s House in Elbow Lake at 11 a.m., the Dew Drop Inn in Hoffman at 2 p.m. and Northland Prairie Inn in Morris at 5 p.m. Additional informational meetings are in the process of being scheduled in other areas for the weeks to come. The lawsuit is based on a contingent fee arrangement and there is no cost for farmers to participate. Pemberton Law has 20 attorneys in four locations: Fergus Falls, Alexandria, Wadena and Detroit Lakes. SIOUX CITY | Northwest Iowa farmers now are among the hundreds nationwide suing a producer of genetically engineered corn, saying the company’s actions led to a drop in corn prices that cost farmers and shippers more than $1 billion. More than 80 lawsuits have been filed against Syngenta, the maker of the Viptera corn seed, in the past two weeks in U.S. District Court in Iowa’s Northern District, which includes Sioux City. Nationwide, dozens have been filed in at least 11 states, including Nebraska and South Dakota, since last fall. “We’re filing them by the day,” said Benjamin Ennen, an Algona, Iowa, lawyer who represents many of those who have sued, including farmers in Buena Vista and Dickinson counties whose suits were filed this month in Sioux City. Ennen, who farms near Buffalo Center, Iowa, also has sued. “I’ve got sharecropper landlords that have sued. I’ve got farmers and I’ve got partnerships that are farming,” Ennen said of his client list. Farmers claim that Syngenta misled farmers about the Viptera corn seed and the effects it would have on their ability to market their crops. Viptera, which is genetically modified to be resistant to corn earworms, black cutworms and other pests, was released in 2010 and approved in the United States and other countries. China, however, did not approve the biotech corn and in 2013 began refusing shipments of U.S. corn containing Viptera seed. The third-largest importer of U.S. corn, China ultimately banned all U.S. corn imports. China has since approved the Viptera seed and lifted its ban last month. The ban, the lawsuits say, crippled the export market in 2013 and ’14 and caused corn prices to drop by 11 cents per bushel. That price drop led to a projected loss of $1.14 billion for American farmers, the lawsuits say. The lawsuits said Syngenta continued to sell and market the seed, knowing that the uncertainty surrounding China’s approval of it would damage the U.S. corn market. At least 12 Brown County farmers have filed lawsuits against a seed company over a genetically modified corn hybrid they claim cost them money. All of the federal civil lawsuits are against Syngenta Corp., Syngenta Crop Protection and Syngenta Seeds. According to court paperwork, the lawsuits claim that Syngenta’s release of Agrisure Viptera corn in the U.S. destroyed the export market of U.S. corn to China and other countries. That depressed prices for all domestic corn, according to the lawsuits. Viptera seed has a genetically modified corn trait called MIR162. It was approved by the U.S. in 2010. But from 2013 through December, China refused to accept the hybrid. Those who had filed cases as of Friday afternoon were Ross Ulmer, Wilbur Albrecht, Gary Wickersham, Darren Engelhart, Verl Dinger, Roger McIntyre, Taylor Sumption, Christopher Lamb, Zacht Engelhart, Spencer Engelhart, Jordan Engelhart and Rick Mettler. Sumption has filed two cases, one for Sumption Farms and one on behalf of Richland Farms. • Made materially misleading statements and/or failed to disclose the truth relating to the approval status of MIR162 in China and the effect the lack of approval would have on U.S. corn prices. • Find the release of Viptera was negligent. • Award damages, including compensatory relief, of more than $75,000, plus other damages. No court dates have been set, according to the documents. As of Friday afternoon, 43 such lawsuits had been filed in South Dakota, according to a federal court official. The in-state attorney in each of the cases is Timothy James of Yankton. No court dates have been set. Nationwide, class action suits against Syngenta have been filed. They claim that the company’s release of Viptera and Agrisure Duracade were detrimental to U.S. corn producers. In the national media, Syngenta officials have said that the lawsuits have no merit and that its actions concerning Viptera and Duracade were transparent. China’s refusal to buy corn from the United States in 2013 because it may have contained genetically modified seed has spawned lawsuits by farmers and major grain companies against the Swiss company Syngenta, which developed the seed. “It was a co-mingling of a non-approved GMO that hadn’t been approved by the Eastern Rim countries. It was introduced into the market, and when the first bag of corn was rejected by China, corn prices started to drop. They started turning around barges of several million metric tons of corn,” said Minneapolis attorney Dan Homolka, who is among a group of lawyers recruiting farmers as clients in lawsuits. The modified seed, known as Viptera, was approved for planting in the United States in 2010 and Syngenta asked China to allow its import. Syngenta began selling the modified seed before China’s approval and China cut off imports from America in 2013. The seeds are genetically modified so that earworms and cutworms won’t eat the corn plant. The lawsuits claim China’s ban cut U.S. corn exports by 85 percent. Attorneys in the case say farmers nationwide lost an estimated $6.3 billion as corn prices plunged from about $7.50 a bushel to around $3.50 a year later. Bruce Peterson, a Northfield farmer and president of the Minnesota Corn Growers Association, isn’t convinced the GMO seed and China’s reaction had as much to do with corn prices falling as other market pressures. “China made this announcement and the price did drop, but it was also a period we were growing bigger crops. So I think supply and demand had more to do with it. The higher-priced corn was bound to come down,” Peterson said. Homolka said attorneys across the country have been filing suits on behalf of farmers. 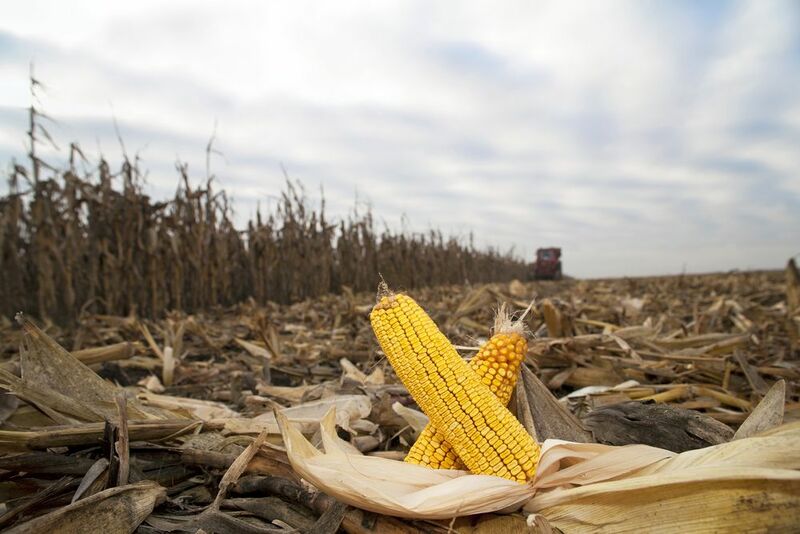 “With 88 to 92 million acres of corn in the U.S., there are a lot of people affected,” he said. Court records show that nearly 150 cases have been filed in Minnesota, with a handful coming from the Mankato area. Since the lawsuits were filed, China has approved the import of the modified seed for food and animal feed use. But attorneys say farmers already have been damaged and deserve compensation. Two large grain exporters, Minnesota-based Cargill and Illinois-based Trans Coastal Supply Co., are also suing Syngenta. The lawsuit is not a class-action case but rather a “mass tort” in which farmers file individual suits. But the cases are consolidated into a single civil action. Mass torts attempt to reduce the number of court cases by taking to court a small number of cases considered to be representative of the larger pool of plaintiffs. In this case most of the cases are being consolidated in the federal court in Kansas with one judge overseeing it. But Homolka’s group is fighting to keep the Minnesota cases consolidated in Minnesota. He argues that because Syngenta’s North American headquarters is based in Minnesota, his clients have a legal right to have their cases handled in Minnesota courts. Homolka said that if farmers don’t file a suit, which costs them nothing, they will most likely not be included in any eventual settlement. He and his team have been holding town hall meetings around the state to tell farmers about the case. “We talk to potential clients and they can ask us questions. They actually meet the attorneys who are going to represent them. There is some precedence in the GMO case. In 2011 Bayer AG agreed to a $750 million settlement resolving claims with about 11,000 U.S. farmers who said a strain of the company’s genetically modified rice tainted crops and ruined their export value. Paul Minehart, head of corporate communications for Syngenta in North America, said in an emailed statement that the company has followed all regulatory and legal requirements regarding Viptera. “Syngenta believes that the lawsuits are without merit and strongly upholds the right of growers to have access to approved new technologies that can increase both their productivity and their profitability,” he said. Northern Plains farmers are getting into the legal fray over Syngenta’s alleged premature release of a genetically modified (GM) corn variety. The commercial release to U.S. farmers allegedly led to China stopping imports of U.S. corn and distillers grains from November 2013 through much of 2014. Plaintiffs in several federal court cases allege Syngenta knowingly released corn variety Agrisure Viptera before its MIR 162 traits against pests such as corn borer and rootworm were approved China. The National Grain and Feed Association last spring estimated the U.S. industry suffered a $2.9 billion hit in reduced corn prices because of the market rejections. Syngenta AG is based in the Minneapolis area and has a Swiss parent estimated to be worth more than $24 billion. Syngenta lawyers have said the lawsuits are “without merit.” The company submitted the varieties to the Chinese government for approval in March 2010. The traits were finally approved by China in December 2014, but not before the alleged damage. Cargill Inc. of Minnetonka, Minn., filed a suit in Louisiana state court in September 2014, asking for damage compensation. 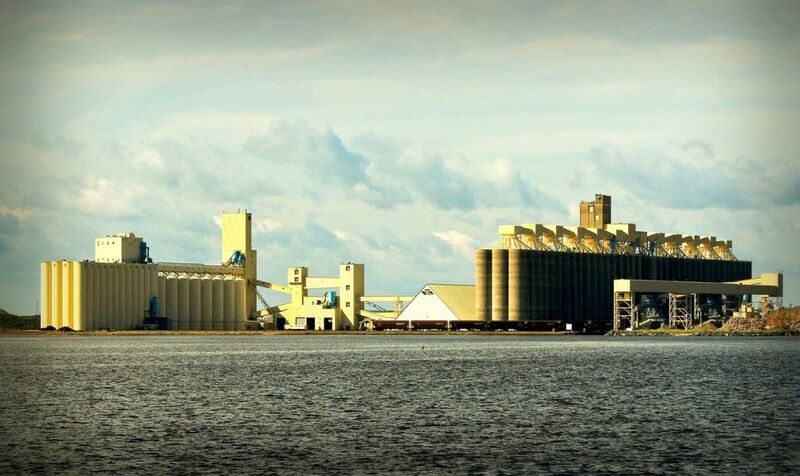 Archer Daniels Midland Co. filed suit in November, also in Louisiana state court. Minneapolis lawyer James B. Hovland this week filed individual suits in U.S. District Court in Fargo on behalf of five North Dakota farmers. The Hovland firm is connected to a coordinated effort that includes a couple dozen farmer suits in South Dakota and about 200 cases by Minnesota farmers. The farmers don’t ask for specific damages, but Hovland said industry estimates he’s seen have ranged from 11 cents to $1 per bushel. Tim Forward of Oakes, N.D., was one of the named plaintiffs filed Jan. 14 by Hovland. Forward says his family’s operations total up to about 4,000 acres of corn production during the affected years. He says he isn’t sure how much of the corn price declines were from the Chinese rejections, but says his family should get compensation, if it’s due. “There may be some financial benefit,” Forward says. Hovland and his Hovland and Rasmus PLLC firm is linked to attorney Mikal Watts of the Watts Guerra LLP firm in San Antonio, Texas, one of a handful vying for leadership in the case, nationally. Other cases have been filed separately in Minnesota state courts, though Syngenta says it prefers them in federal court. Hovland says the initial cases were filed several months ago and now are being referred to federal Court. U.S. District Judge John W. Lungstrom of Kansas City, Kan., is in the process of deciding whether they’ll become a class action suit or be treated as a mass tort. Law firms are getting active in gathering clients. Some firms have started advertising for clients in the region. Hovland is coming to North Dakota in early February to hold town hall informational meetings in Wahpeton, Jamestown, Fargo, Oakes, Mayville, Grand Forks and perhaps Ellendale. “We’re concentrating on the Red River Valley — the south and eastern part of the state to provide informational meetings on the cause of action,” he says.